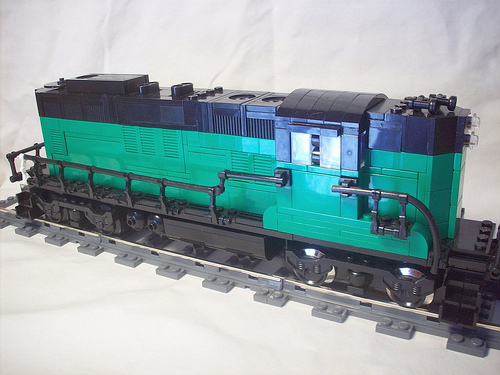 Matt Hamann has been steadily improving his rolling stock (trains and carriages) and this new Burlington Northern GP9 is a true masterpiece. The placement of details, subtle shape differences and clever tricks (check out the hands on the handrail) combine to make for a beautiful engine. Excellent work. Lovely work. The railing is especially nice.